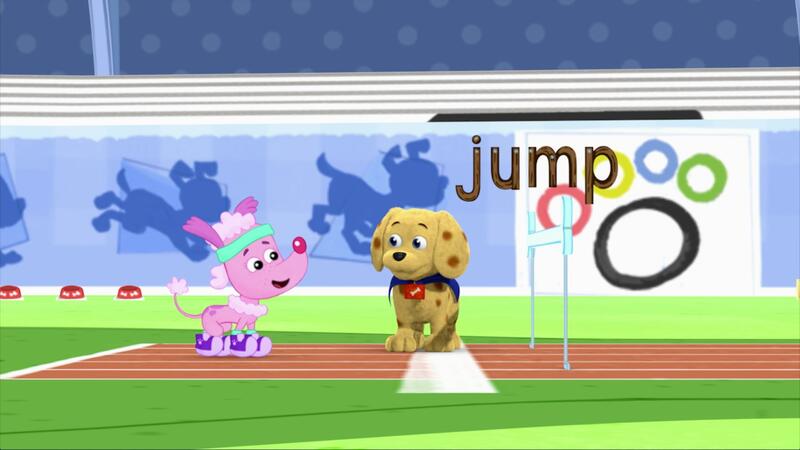 Your child can sing the alphabet song and spell the word "JUMP" with Alpha Pig in this clip where the Super Readers help a puppy learn to jump. 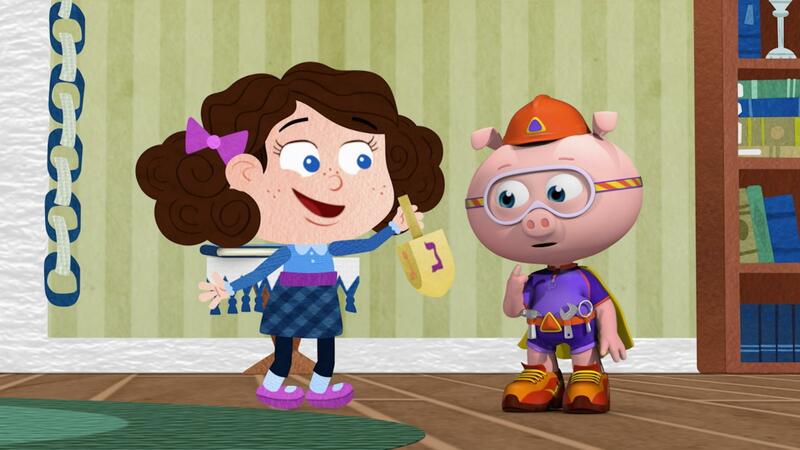 Your child can learn about Chanukkah traditions like dreidel in this clip where Alpha Pig spells "COINS" so the Readers can play dreidel. 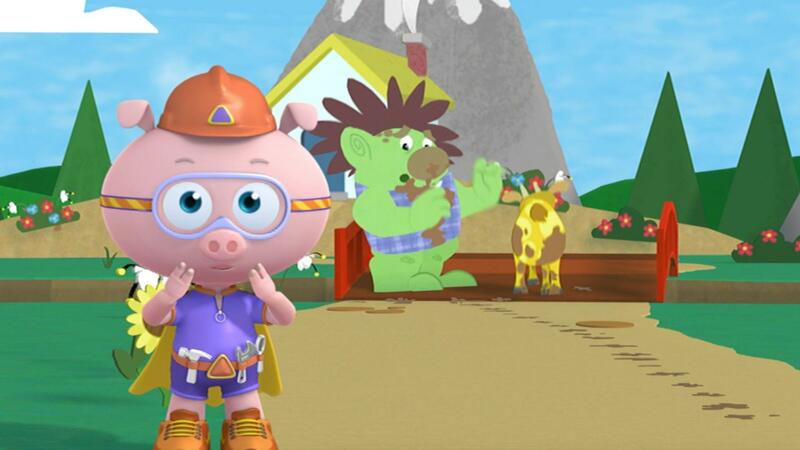 Your child will sing the alphabet and identify printed letters to spell the word "pole" to help rescue Little Goat! 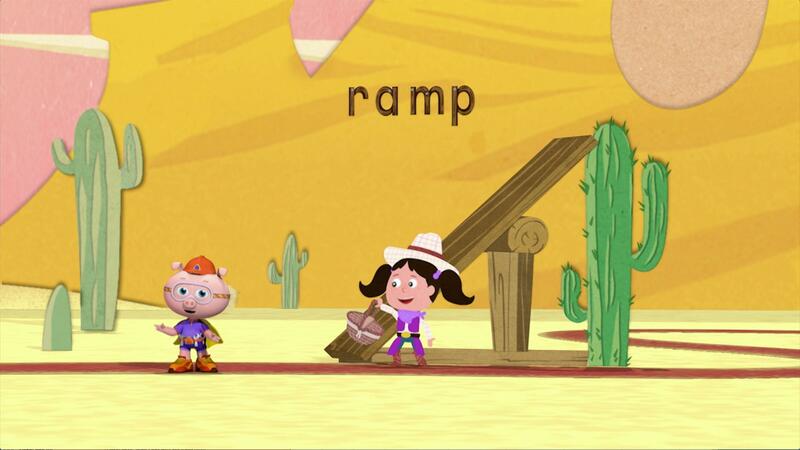 Sing the alphabet and find the letters to spell the word ramp with Alpha Pig. The Super Readers are chasing a comet as it travels to different planets! 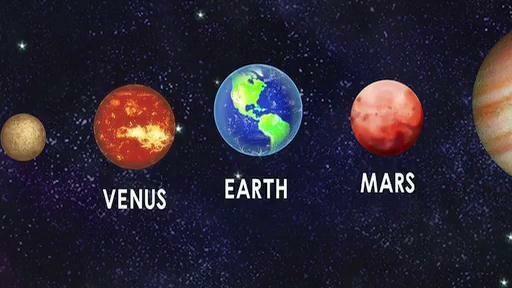 To find the comets, they need to identify letters that begin planets' names. Alpha Pig Walks the Tightrope! 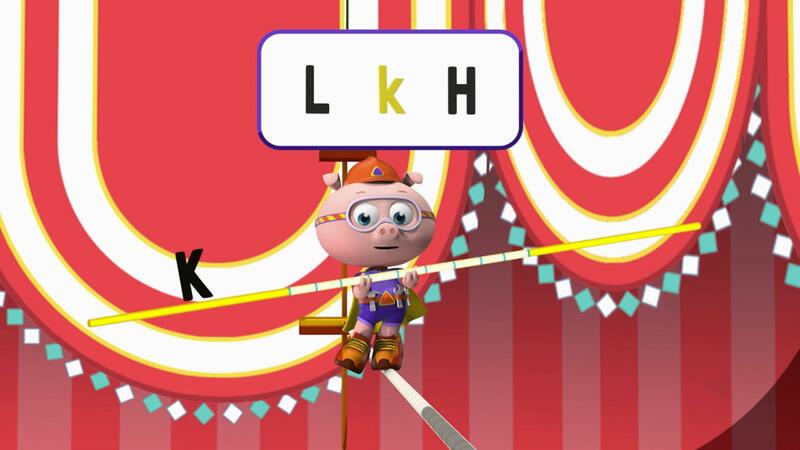 Your child can help Alpha Pig identify capital and lowercase letters in this clip where he crosses a tightrope. 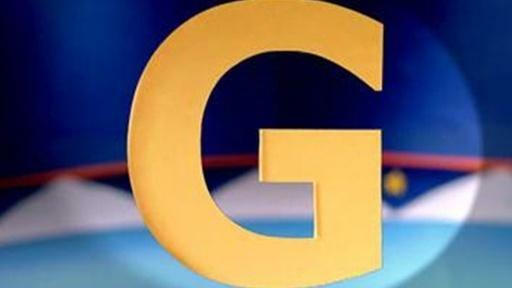 You can find every letter of the alphabet at the Alphabet Circus! 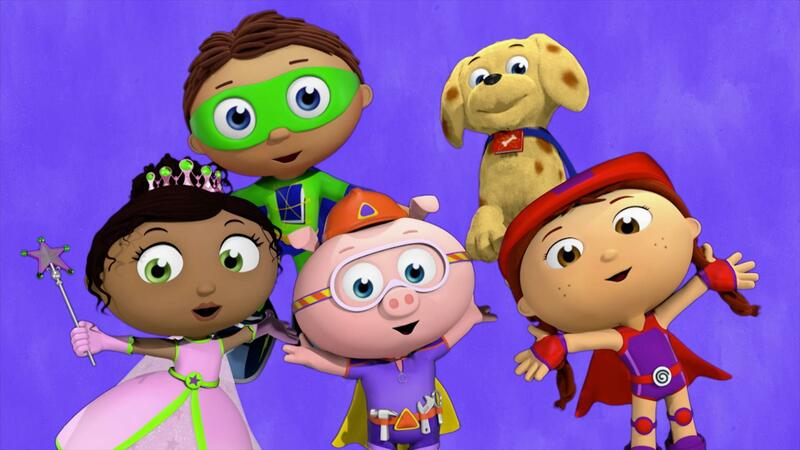 Sing a song about words that rhyme with each letter of the alphabet with Super Why!